Unite the league! From the 2017 film Justice League, the heroes are gathering for battle and ready to line your shelf! 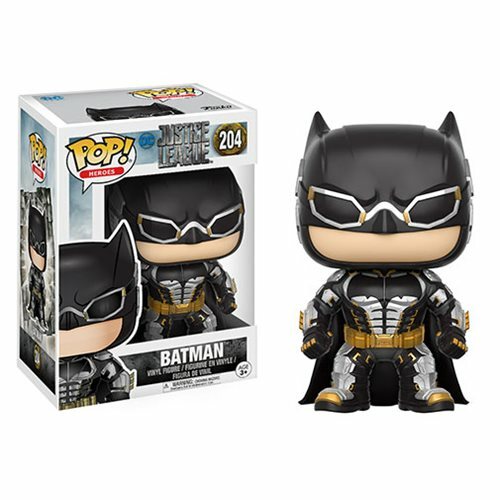 This Justice League Movie Batman Pop! Vinyl Figure measures approximately 3 3/4-inches tall and comes packaged in a window display box. Ages 3 and up.